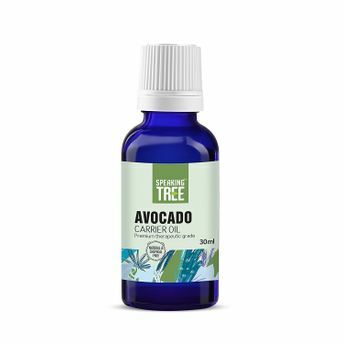 Speaking Tree Avocado Carrier Oil is a 100% pure, natural and cold pressed oil that is rich in Vitamin A, D, E and antioxidant agents that help add health and volume to your dry lifeless hair. This non-comedogenic oil penetrates deep into the outer layer of skin and scalp to retain moisture without leaving a heavy oil residue. It is considered as the most promising massage oil to soften and smoothen the skin of your face, hands and body. Alternatively, you can also find many more products from the Speaking Tree Avocado Carrier Oil range.